MOMIX, the company of dance illusionists, is back with a self-titled production at The Joyce Theater in Chelsea. I had the opportunity to experience MOMIX first-hand last summer, when I saw the company’s production of “Opus Cactus” which represented the spirit of the American Southwest. I was marveled by the dancers’ elegant transformations into everything from cacti to birds to fire. This self-titled production will combine spectacular lighting effects, beautiful costumes and creative props, all working together with the unbelievable artists in the company who are so talented and gifted at storytelling through movement. City premier of three new works. 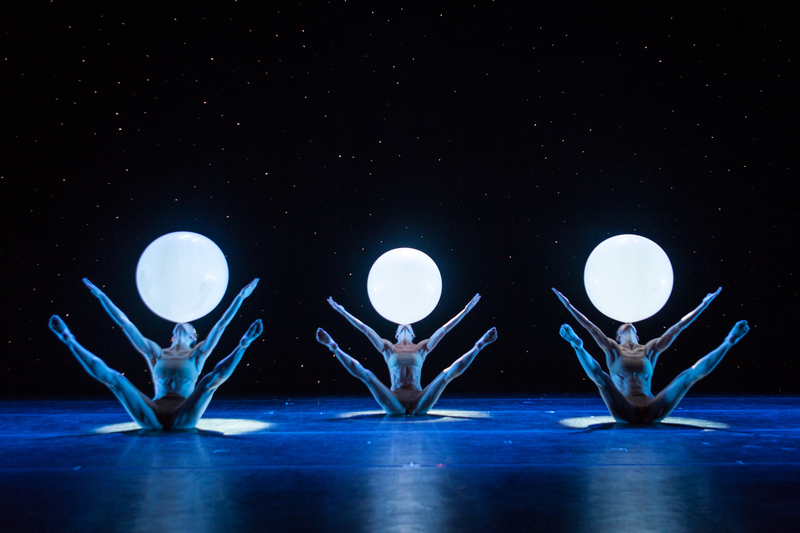 Created for MOMIX’s 35thanniversary, these works exemplify the company’s unique aesthetic. In Daddy Long Leg, the audience witnesses a comic trio of gauchos with one extended leg from the Pampas plains of Argentina. In Light Reins, rods of shifting light invoke unique patterns that caper amongst the dancers. Paper Trails makes use of paper as both costume and sculpture. “MOMIX” will run at The Joyce Theater from July 24 through August 12, offering evening performances during the week, and both evening and matinee productions on weekends. We are confident that this will be an event not to be missed! Audiences are sure to be wowed, mesmerized, and impressed with what the human form can do. The dancers’ physical strength combined with the innovative creative direction behind the company will make this production an experience like no other.